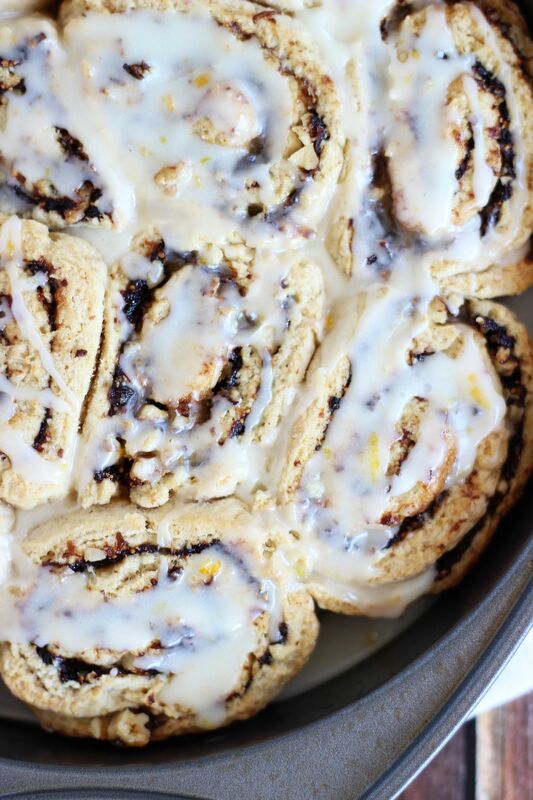 No yeast, no rise, orange cinnamon rolls filled with fig jam and walnuts, and topped with an orange glaze! More citrus stuff. So much citrus fruit. I think we are starting to wind down on Citrus Week and then I have about 85 recipes coming up with either blackberries or carrots. We went through 5 or 6 18-oz. containers of blackberries in about 2 weeks. We are bulk purchasers, clearly, and creatures of habit. 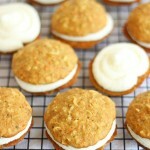 And carrots, well, we didn’t bulk purchase those… I just needed to make carrot recipes because Easter is coming!! It’s only fitting. They probably won’t actually post in time for Easter because that is just the way things are going lately, but we can still consider carrot cake-type recipes to be “springy” in general, right? In the meantime, these Fig & Walnut Orange Cinnamon Rolls though. I based them off of these Bacon Cinnamon Rolls with Apple Cider Glaze. I adore this cinnamon roll recipe as a base because they are no yeast, no rise, but still flaky, soft and flavorful. I have problems getting along with yeast. My issues with yeast-based breads are well-documented and I think I may have given up entirely. However, these no-yeast cinnamon rolls are so simple since I don’t have to mess with yeast, and the dough is ready in minutes. They’re just a total cinch. Like most of my scone recipes, you can basically have these cinnamon rolls ready in 30 minutes, start-to-finish. It depends a little on what you fill them with, but generally, they’re fast. Most importantly, how they taste. Enough about the inception of the idea, and let’s get into what really matters. Welllll, they’re wonderful. But I guess you’d know that I like them or they wouldn’t make it to the blog. 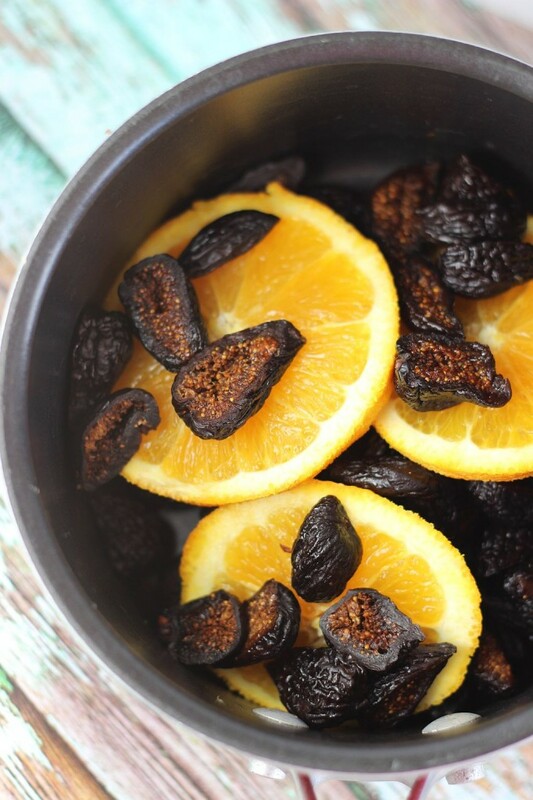 I simmered dried figs in orange juice and fresh orange slices to soften them up and really stew them in fresh citrus goodness. Once the figs were infused with subtle orange flavor, I pureed them into what became kind of a fig jam. Orange-infused fig jam. That stuff. It’s great on its own. You could spread it onto biscuits or toast, or mix it into yogurt. I plan to continue making different variations of that ‘fig jam’ just by itself! Homemade Fig Newtons maybe? #newblogpostidea. Anyway, my original purpose was to use the fig jam as a filling for cinnamon rolls, so I stayed the course. I mixed up the dough with a little orange zest in it to bolster the citrus flavor, then I spread a thick layer of fig jam onto the dough, and then I sprinkled it with lots of brown sugar, cinnamon, and chopped walnuts. 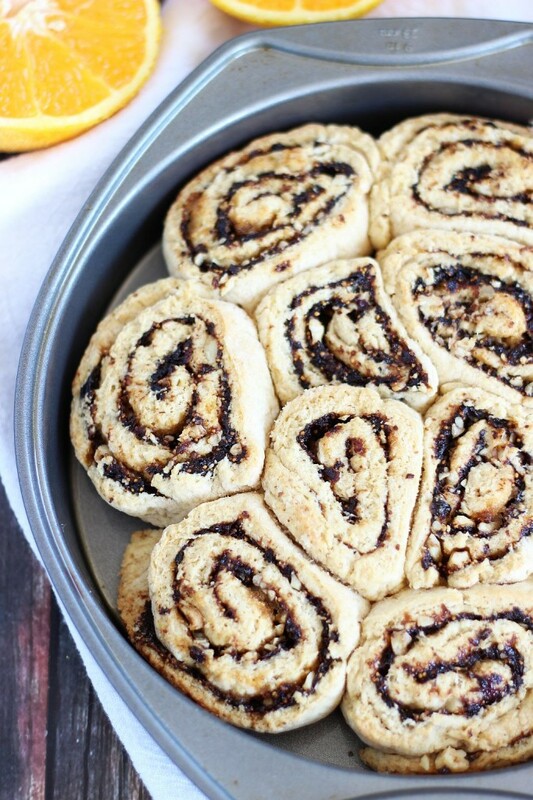 Roll it up, slice, bake, and drizzle with a simple orange glaze made with freshly squeezed OJ and orange zest. Cannot wait to make these again. Bottom line: these should be your Easter brunch! Combine the figs, orange juice, orange slices, and cinnamon in a small lidded pot. Simmer over medium heat for about 10 minutes, or until the figs are soft when pricked with a fork. Discard the orange slices, and drain any remaining juice from the pot. Puree the figs until smooth. They will form a thick, but spreadable paste. Combine egg, milk, and orange zest. 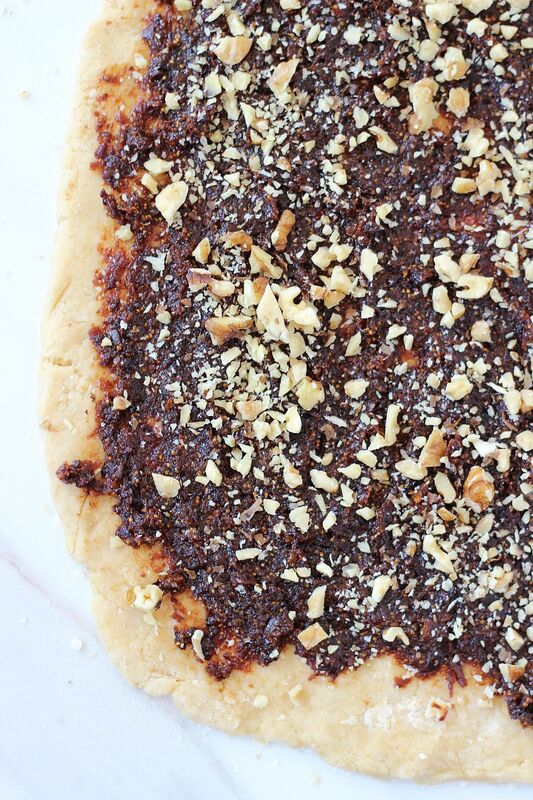 Spread the fig mixture evenly over the dough, leaving about 1-inch on the sides. In a small bowl, combine the remaining 1/4 c. brown sugar with the cinnamon. Sprinkle the fig layer evenly with the brown sugar mixture and the walnuts. Roll up, jelly-roll style, starting with the shorter side, and cut into 10 pieces, each about 3/4-inch wide. Remove from oven and allow to cool on a wire rack for about 5-7 minutes. Serve warm, with glaze. In a small bowl, combine orange juice, orange zest, and powdered sugar. 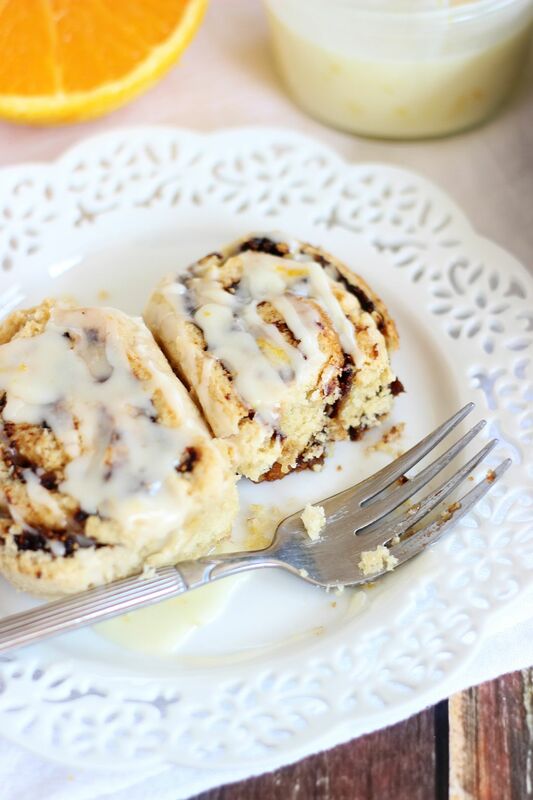 Whisk til smooth and drizzle over the hot cinnamon rolls! So creative Sarah! 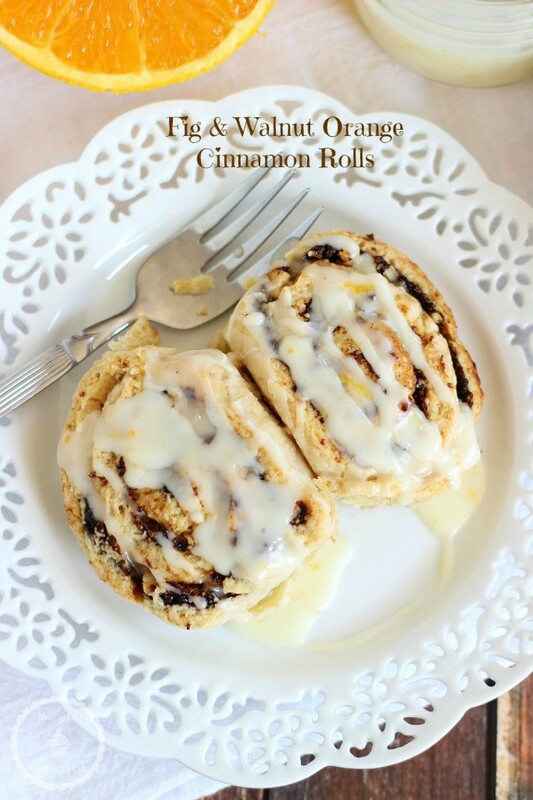 I have definitely never seen a fig filled cinnamon roll before, and I’m all for changing up sweet rolls! These look wonderful! Thanks, Stacey! I didn’t think I’d seen one before either, and I loved the idea. They were delicious. Thank you!! First time here, and i am hooked. All the pictures are soooooo inviting and tempting. Oh great!! Welcome, Shweta!! So happy to have you here. 🙂 I agree – orange cinnamon rolls are the BEST. Even the ones from the can. I adore those!! Have a great day! I can imagine that I would adore these. I love fig newtons, so the flavors compliment each other well. 🙂 Now that orange glaze…to die for. 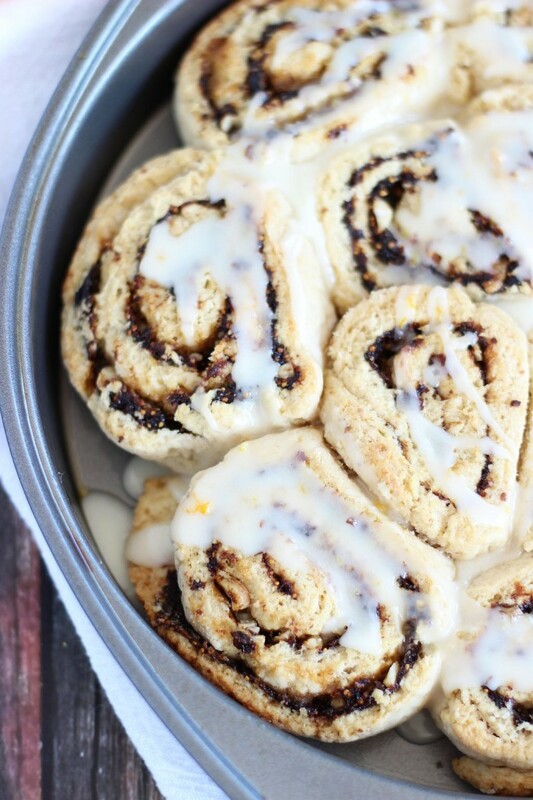 These cinnamon rolls look fantastic, Sarah! 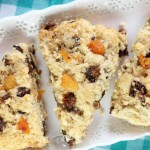 I love the creative fig filing, I’ve never it before either and it sounds delicious with the orange and walnuts! 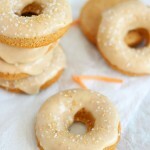 Love the orange glaze too! 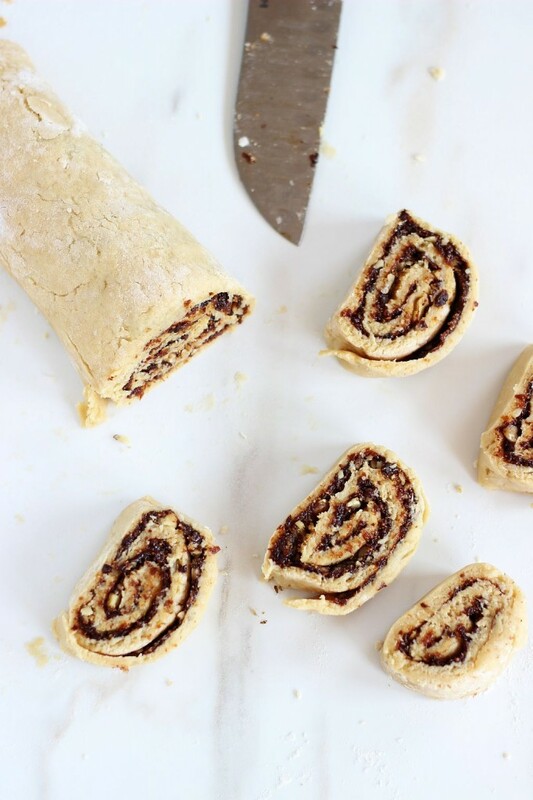 The combination in these rolls of fig and walnut has me swooning! Lol! Thanks so much! I’m with you… I really loved these so much! Have a great day, Kristen! I love the flavor of these rolls, Sarah! So creative! And even better that it’s a no yeast version. Sounds perfect for a weekend breakfast! Totally!! Yeast = no bueno! Haha. 🙂 Thanks, Gayle! I love the filling Sarah, really great flavors! 🙂 I am sure your FIL will realize that what awesome rolls he was missing out on! 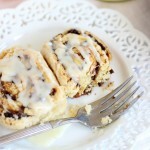 And i love that these cinnamon rolls could be made in 30 minutes! Say whaaaaaa!! Pinned! Talking about bringing cinnamon rolls to a whole new level. All of my favorite ingredients! Thanks for linking up with Thursday Favorite Things! Oh these look amazing! I love anything Orange! No yeast and no rise?! AWESOME! And these look delicious! 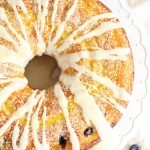 Thanks for sharing with the Home Matters Linky Party! We hope to see you again next week! 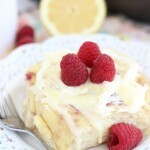 Such a different twist on the regular cinnamon roll! It looks yummy, I have always liked figs! I LOVE figs! They are fabulous cinnamon rolls! Thank you, Carrie! These look incredible! I’ve seen a lot of recipes lately that call for figs. I really need to give them a try! This recipe would be the perfect way to do that. These look to die for! Thanks for sharing at the parties! Pinned & shared! !